Basil is a tender low-growing herb. It is originally native to Iran, India and other tropical regions of Asia, having been grown there for more than 5,000 years. 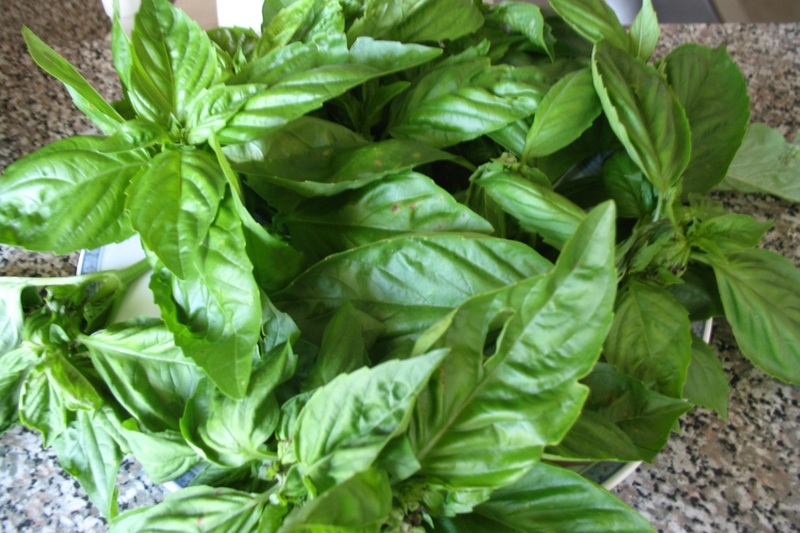 Basil grows to between 30–130 cm tall, with opposite, light green, leaves. It has small, white flowers. It is very sensitive to cold. It likes hot, dry conditions. Basil is commonly used fresh in cooked recipes. It has a strong, often sweet smell. I put the bag with 8 seeds in the jar with water. 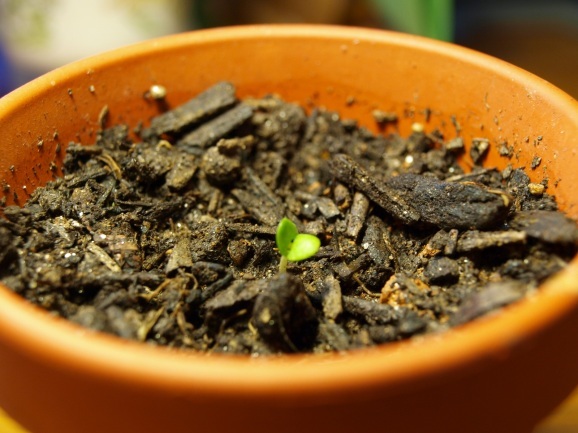 I took a pot with soil. Then I dug 3 holes in the soil, and planted the seeds. I watered them. 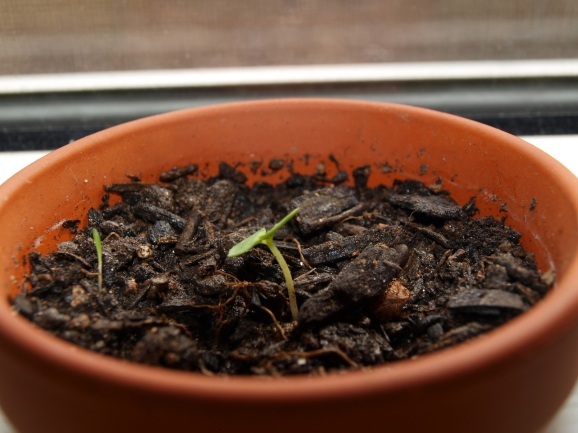 I watered soil every day. Hurray! A little sprout is out of the ground! It is tiny and light green. The small leaves are together. The little leaves are apart now. The leaves are getting darker. 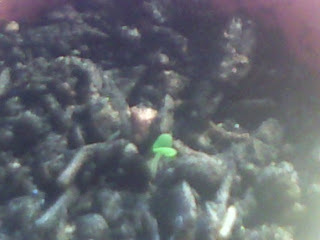 Another sprout is out of the ground! The first plant looks stronger. 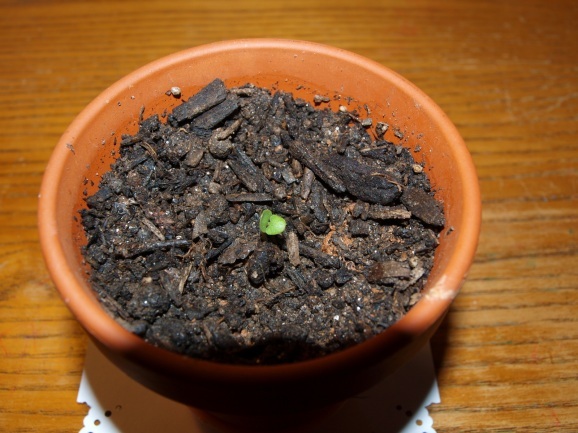 The third sprout is out of the ground! Now I have my own basil!